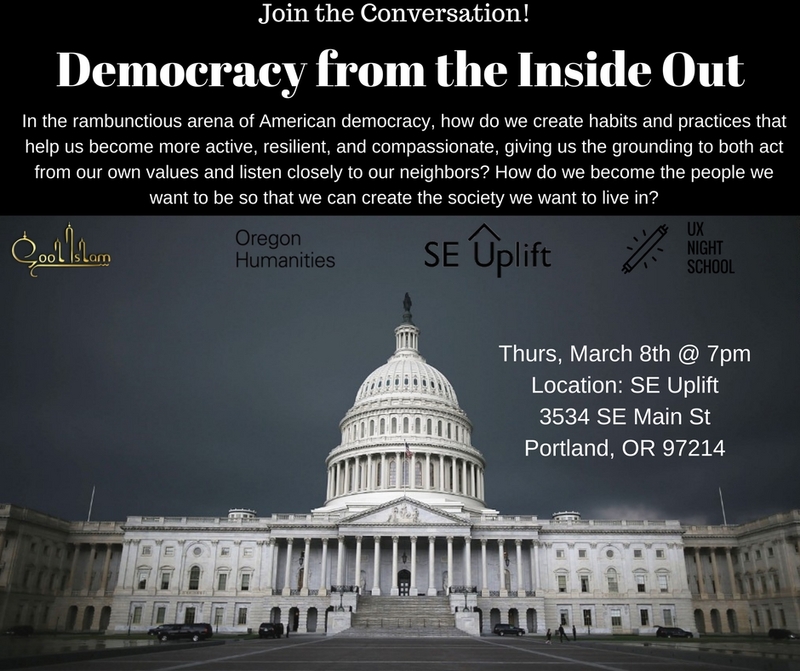 The March 8th event is part of Oregon Humanities’ statewide Conversation Project. We talk a lot about what it means to actively participate in a democracy: voting, participating in protests, writing and calling our representatives, and even running for office ourselves. But there is so much external noise, it can be hard to hear our own consciences, let alone discern right action. In the rambunctious arena of American democracy, how do we create habits and practices that help us become more active, resilient, and compassionate? How do we gain the grounding to both act from our own values and listen closely to our neighbors? 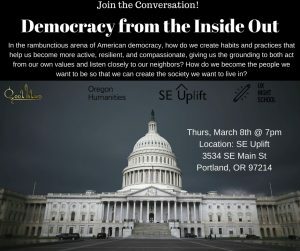 This is the focus of ͞Democracy from the Inside Out: Listening to Our Consciences and Our Neighbors, a free conversation with Wendy Willis on Thursday, March 8th, 2018 at 7 pm at SE Uplift 3534 SE Main St Portland, OR 97214. This program is hosted by SE Uplift, Cool Islam, and UX Night School and sponsored by Oregon Humanities. 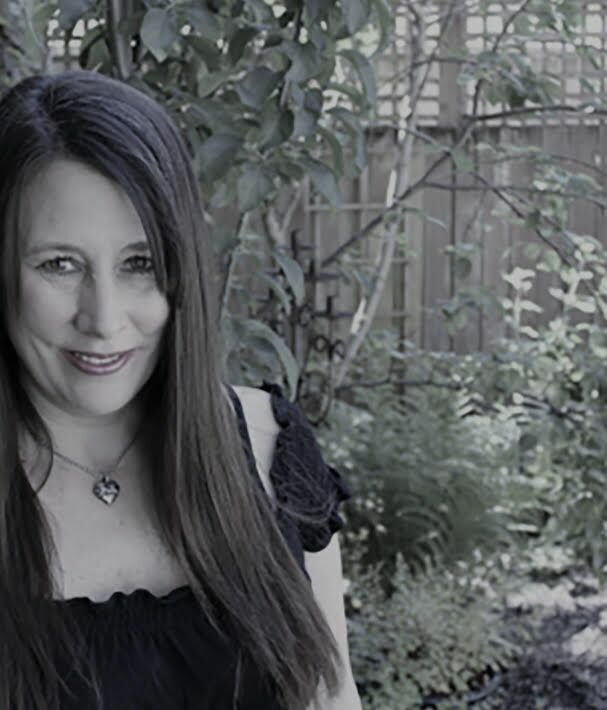 Wendy Willis is a poet and essayist living in Portland. Wendy is also the executive director of the Deliberative Democracy Consortium and the founder and director of Oregon’s Kitchen Table at Portland State University. Her most recent book, A Long Late Pledge, will be released in September 2017. Through the Conversation Project, Oregon Humanities offers free programs that engage community members in thoughtful, challenging conversations about ideas critical to our daily lives and our state’s future. For more information about this free community discussion, please contact Muz Afzal at (503) 232-0010 ext 319 or muz@seuplift.org. *Interpretation services available upon request, please request interpretative accommodations a minimum of 72 business hours before the event.